Deserted beach on Barra. 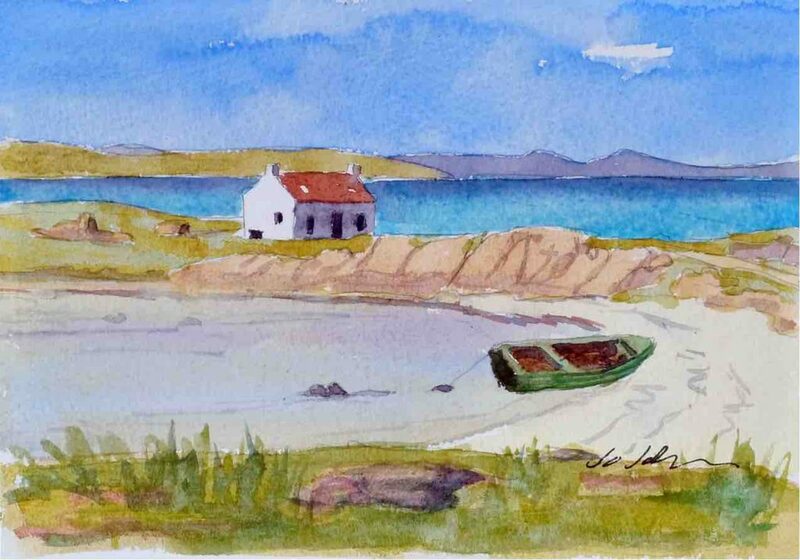 7" x 5" watercolour on 140lb Bockingford Paper. 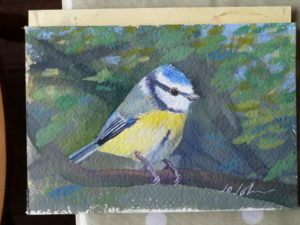 Here are a few snaps of some recently completed watercolours and one little gouache of a bluetit! 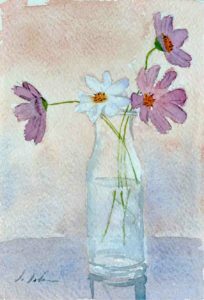 I’ve been undergoing some medical treatment in the last few weeks which has been somewhat disruptive to the normal routines, however, I’ve found a way of working around this – painting small! 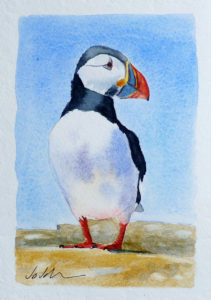 They’re all painted on size 5″ x 7″ or 7″ x 5″ watercolour paper (140lb Bockingford or Fabriano) depending on whether it’s portrait or landscape orientation. Deserted beach on Barra. 7″ x 5″ watercolour on 140lb Bockingford Paper. It means I can finish the painting in a reasonable timescale even if I lose a couple of days due to side effects etc. Onward and upward! 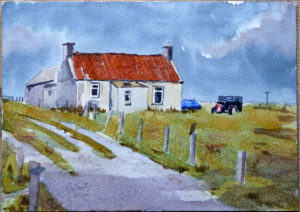 Old Cottage, Ness, Isle of Lewis. 7″ x 5″ watercolour on 140lb Bockingford Paper. On completion, all are being listed at VERY reasonable prices on eBay! Check my “For Sale” page link or jump straight over to the current eBay listings.